Fulham's promotion was in large part thanks to Aleksandr Mitrovic's 12 goals and his loan move from Newcastle was also made permanent for a reported £27 million. In their quest to end a 29-year wait to win the title, Liverpool weren't just the biggest spenders, but got their business done early and improved the key areas of Jurgen Klopp's squad that needed strengthening. Two calamitous errors from Loris Karius in losing the Champions League final to Real Madrid in May made it clear an upgrade was needed in goal and 72.5 million euros ($84 million, £65.2 million) were splashed on Alisson Becker from Roma in a short-lived world-record fee for a goalkeeper. Fabinho and Naby Keita will add extra dynamism and depth to the midfield, while Xherdan Shaqiri offers better back-up to the prolific front three of Sadio Mane, Roberto Firmino and Mohamed Salah. Even more importantly, Salah and Firmino also signed extended contracts rather than being lured away as Luis Suarez and Philippe Coutinho have been in recent seasons. Wolves' connections to Portuguese super agent Jorge Mendes were a source of complaint for their competitors as they romped to the Championship title last season. And the Midlands club appear to have higher ambitions than merely staying up after signing another two high-profile Mendes clients in Euro 2016 winners Rui Patricio and Joao Moutinho. A club-record fee of £20 million was also splashed on powerful Spanish winger Adama Traore and versatile Belgian international Leander Dendoncker was snapped up from Anderlecht. Another promoted side Fulham have made a mockery of the suggestion it is harder for teams going up via the playoffs to get deals in place as the other 19 Premier League teams have a two-week head start in the market. Not only have Fulham seen off interest from Spurs in England under-21 international Ryan Sessegnon, but have spent over £70 million on some stellar signings. Jean Michael Seri was a transfer target for Barcelona just 12 months ago, but will now be lining up at Craven Cottage rather than the Camp Nou along with former Nice team-mate Maxime Le Marchand, German World Cup winner Andre Schurrle and Alfie Mawson, who earned an England call-up earlier in the year. The decision to bring the transfer deadline forward to before the start of the season for the first time in England was designed to alleviate disruption. Last season Alexis Sanchez, Philippe Coutinho and Virgil van Dijk were among those to miss the start of the campaign due to transfer speculation. Yet, a shortened window allied to the tight turnaround from the final stages of the World Cup just four weeks ago, left English clubs in a rush against time to get deals done and facing inflated fees when buying from Europe's other top leagues, where the window doesn't close till later this month. At a time of the season when all football fans dare to dream, there has again been little to set pulses racing in Newcastle as owner Mike Ashley refuses to join in the Premier League arms race, much to the chagrin of manager Rafael Benitez. Newcastle have again made a profit from player trading thanks to the sales of Mitrovic and Mikel Merino, with Benitez expressing his concern for the Magpies' prospects this season after a 4-0 friendly thrashing by Braga earlier this month. The Manchester United manager consistently cried foul on the club's pre-season tour of the United States about the state of his squad to try and provoke a reaction from the United hierarchy. 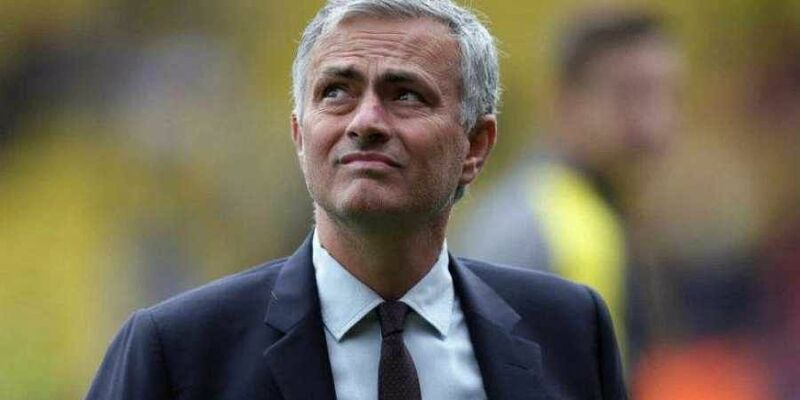 Instead, Mourinho was left empty-handed from the final days of the window despite warning that the Red Devils face a difficult season by not delivering his targets in the transfer market.